Apple first added emoji support on the iPhone in 2008. Nearly a decade later these designs seem familiar as ever. At the time of Apple's first emoji release, iOS was known as iPhone OS and Apple's emoji keyboard first appeared in iPhone OS 2.2 in November 2008. The first emojis were restricted to iPhone users in Japan, and pre-dated emoji being included within the Unicode Standard. It wasn't until years later that the emoji keyboard became an option outside Japan, and eventually became enabled by default. 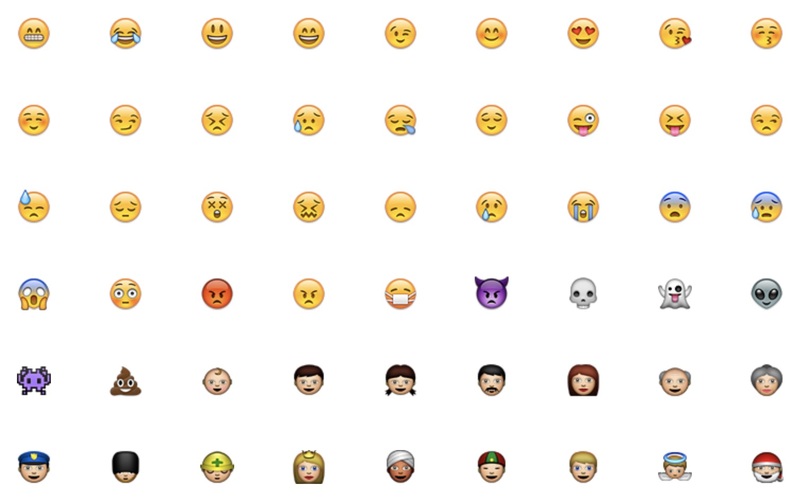 Above: Some emoji designs from iPhone OS 2.2. When viewing the original iPhone emoji set on Emojipedia you might notice a number of changes since 2008. Most smileys today still closely resemble these designs, however many of the humans, animals and objects have gone their own direction in recent years. I spoke Angela Guzman who is one of the original iPhone emoji designers for a chat about what it was like being around in the time Steve Jobs gave the go-ahead on that first emoji set.